Four Best-Selling Plugins for Free! Buy Reason now and get four best-selling plugins for free! That’s more than $350 worth of extra plugins included. No warranty. The Software is being delivered to you AS IS and Propellerhead Software makes no warranty other than that the Software shall conform to the specifications in the documentation during a warranty period of twelve month from delivery. Propellerhead Software will only remedy deviations from the specification providing that the deviation substantially affects your use of the Software. Propellerhead Software may under such circumstances choose to replace your copy of the Software with a new one. APART FROM ABOVE PROPELLERHEAD SOFTWARE AND ITS SUPPLIERS DO NOT AND CANNOT WARRANT THE PERFORMANCE OR RESULTS YOU MAY OBTAIN BY USING THE SOFTWARE OR DOCUMENTATION. 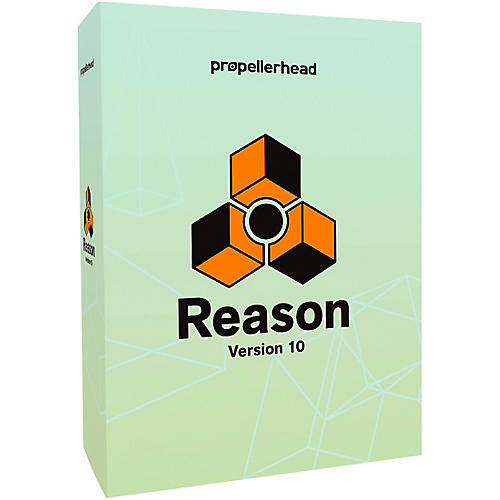 PROPELLERHEAD SOFTWARE AND ITS SUPPLIERS MAKE NO WARRANTIES, EXPRESS OR IMPLIED, AS TO NONINFRINGEMENT OF THIRD PARTY RIGHTS, MERCHANTABILITY, OR FITNESS FOR ANY PARTICULAR PURPOSE. IN NO EVENT WILL PROPELLERHEAD SOFTWARE OR ITS SUPPLIERS BE LIABLE TO YOU FOR ANY CONSEQUENTIAL, INCIDENTAL OR SPECIAL DAMAGES, INCLUDING ANY LOST PROFITS OR LOST SAVINGS, EVEN IF A PROPELLERHEAD SOFTWARE REPRESENTATIVE HAS BEEN ADVISED OF THE POSSIBILITY OF SUCH DAMAGES, OR FOR ANY CLAIM BY ANY THIRD PARTY.